A deck is an investment in your home. You can help protect your investment with some simple tips. Be sure to use a grease catcher with your grill. Grease stains are hard to remove. Keep leaves removed from your deck. Wet leaves can cause stains that are hard to remove. If sealing your deck yourself be careful not to over apply sealer which can cause the sealer not to dry properly and cause rapid mildew growth. New deck - It is not necessary to wait 6-12 months to seal new wood. Your deck can be damaged by water absorption and UV exposure soon after installation. It should be cleaned to kill mildew spores in the wood and remove surface barriers that prohibit finish coatings from penetrating, and then protected after installation with a water repellent sealer. It is not advisable to apply paint or a solid stain to your deck - Both have a tendency to peel and can become a maintenance nightmare. When installing or building a new deck at ground level, install a plastic vapor barrier prior to the deck construction. This prevents ground moisture from migrating upward into the wood which can cause wood decay and damage. Homeowners sometimes overlook the need for regular deck maintenance. Left untreated, your deck could become an eyesore. Proper cleaning and sealing using the correct products can often reduce the need for cleaning and refinishing to every two or three years instead of every year. Pressure washing is the most common way to clean and prepare your deck prior to staining or restaining. Pressure washing removes most of the old stain depending on the number of coats that were previously applied. Tannins in natural cedar and redwood bleed out over the course of time which makes the wood gray or black in color. Commercially available conditioners, cleaners, and brighteners can be applied with a pump sprayer and will help restore the original color of the wood. Oxylic acid added to the spray mixtures neutralize the tannins and helps remove the gray and black colors. I find that spraying at 3200 PSI removes most all of the dirt and tannins, and restores the natural beauty of the wood. Allowing the wood to dry for a full day to two days is recommended prior to recoating with the stain of your choice. 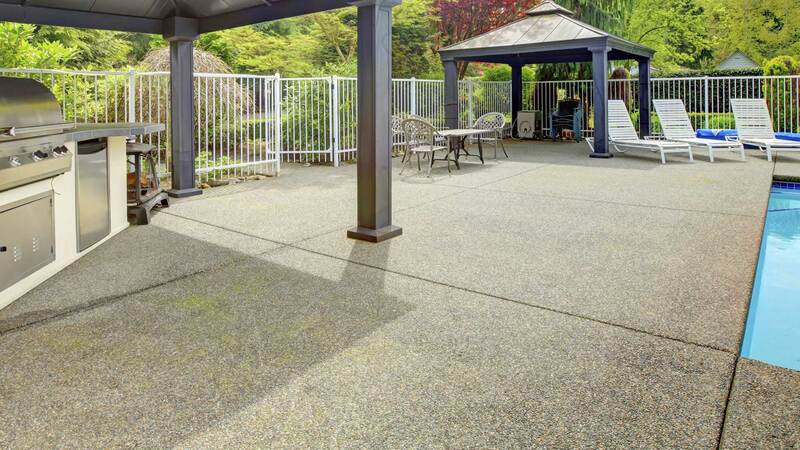 If your deck is looking gray or black or dirty looking, give Decks R Us a call! We will provide you with a free estimate and determine the best course of action to give your deck it's natural beauty once again.